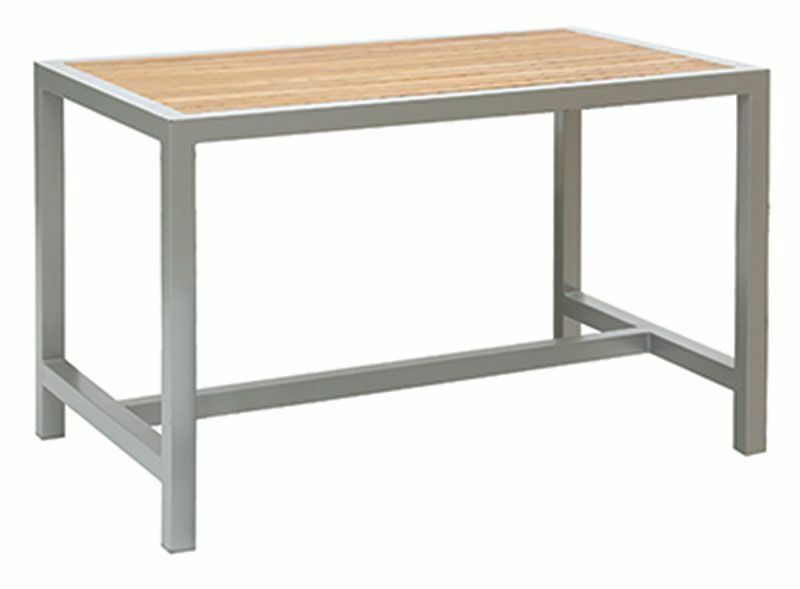 Outdoor tables with a Silver or Dark grey, durable Aluminium frame and teak slats. Suitable for outside commercial use. Available from stock and delivered in 2-3 days from order. Free UK delivery. High quality oudoor rectangular table with a strong aluminium available in both Silver and Dark grey finish. Please treat teak tables and chairs with teak oil to maintain looks and performance.